From tee boxes and bunkers to fairways and greens, golf is a natural fit in the scenic landscapes found in Arkansas. Regardless of skill level or club membership status, every golfer wants to play on a beautifully designed course. Grab your clubs because you’re going to want to play 18-holes after reading our picks for the best public golf courses in Arkansas. Designed by renowned architect Edmund Ault and nestled in the beautiful Ozarks, Mountain Ranch Golf Course in Fairfield Bay is well-known in Arkansas golfing circles. This 18-hole championship golf course has been the recipient of many awards, including being named the “#1 Resort Golf Course in Arkansas” by Golf Digest and “#2 Public Golf Course in Arkansas” by Golf Magazine. Surrounded by the crystal-clear waters of Greers Ferry Lake, this John Floyd-designed golf course was named by Golf Digest as one of the best places to play in Arkansas. The award-winning Tannenbaum Golf Course features five sets of tees as well as one of the most challenging layouts in the Natural State. This award-winning golf course in Mountain Home opened in 2000 and has been the winner of Golf Digest’s coveted five-star ranking nearly every year since. Big Creek Golf Course features white sand bunkers, beautiful Zoysia fairways, and L-93 Bentgrass greens. USGA Rules govern all play on this course except where modified by local rules. You’ll experience 18 holes of championship golf here at Big Sugar Golf Club in Pea Ridge. This popular course features 007 Bentgrass greens and Zoysia fairways as well as five tees that will challenge everyone from the novice golfer to the professional. Big Sugar is well-known as one of the most scenic and challenging golf courses in the Northwest Arkansas area. This semi-private golf club was named the “Best New Golf Course of 2013” by Golf Digest. That’s just one reason why golfing at Mystic Creek is an unforgettable experience for all skill levels. This semi-private golf club was built in the rolling timberlands that surround El Dorado and opened in May 2013. Water comes into play on 12 holes of this Andy Dye signature course on top of Crowley’s Ridge in Wynne, Arkansas. Golfers can choose from three different 18-hole combinations to play on this challenging golf. The Ridges at Village Creek Golf opened in 2012 and is listed on The National State Golf Trail. Countless rounds of golf have been played on this exciting and beautiful course in Glenwood, Arkansas. Glenwood Country Club, named one of Golf Digest’s “Places to Play”, is well-known for being one of the top courses in Arkansas. This secluded course was designed by renowned golf advisor Bobby McGee and features a challenging 18-hole, 72-par layout. This unique golf course has been serving the Cabot community since 1998. The Cyprus Creek Golf Course, designed by acclaimed golf course architect Kevin Tucker, is located inside the Greystone Communities. This 18-hole, 72-par course features a thought-provoking layout that will challenge golfers of all skill levels. “You’ve played the rest now come and experience the best.” Cooper’s Hawk Golf Course, an 18-hole championship course in Melbourne, has been voted as the “#1 Public Golf Course in Arkansas” by Arkansas Business-Executive Golfer Magazine. Cooper’s Hawk features a large practice green, Zoysia fairways, and Bentgrass greens. 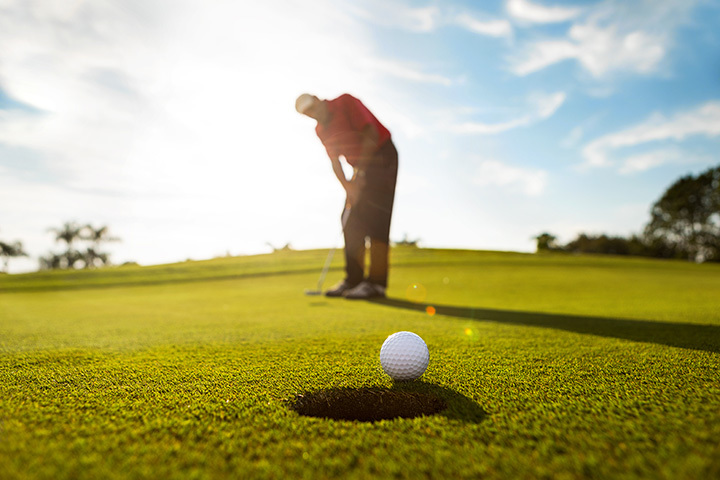 The semi-private Sage Meadows Country Club is an 18-hole championship golf course that is both challenging and fair to golfers of all skill levels. This modern, links-inspired course in Jonesboro was designed by architect Tommy Bolt. All rounds of golf at Sage Meadows are expected to be completed within four hours.